What chefs are saying about nopales. The desert. The original bringer of the heat. A gorgeous, unforgiving hellscape surrounded by some of the best food known to man. 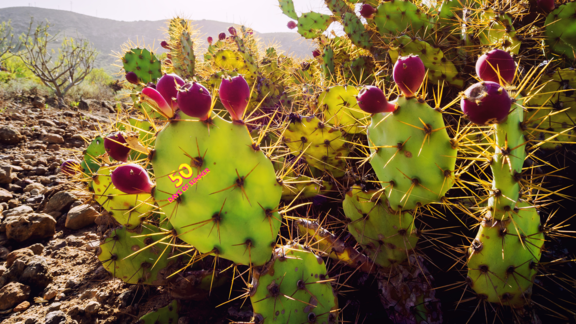 Maybe it's because your creativity gets a solid kick into overdrive when resources are thin on the ground, but our favorite thing to come out of the desert has got to be nopales—also known as prickly pear cactus. The Internet told us there are approximately 114 known species of nopal native to Mexico, which accounts for its prominence in Mexican cuisine. Some people think they taste like green beans, others say okra, but once cleaned of their spines, they take on as many different applications as there are preferences. Typically, we prefer to grill it, which gives the gelatinous leaves a smoky, earthy vibe, but the flesh can also be used for candy, jam, jelly, even sorbet—or if you prefer, raw in a ceviche. Here's how our chefs like to eat 'em in two of the best desert-hugging spots—Southern California and Texas. 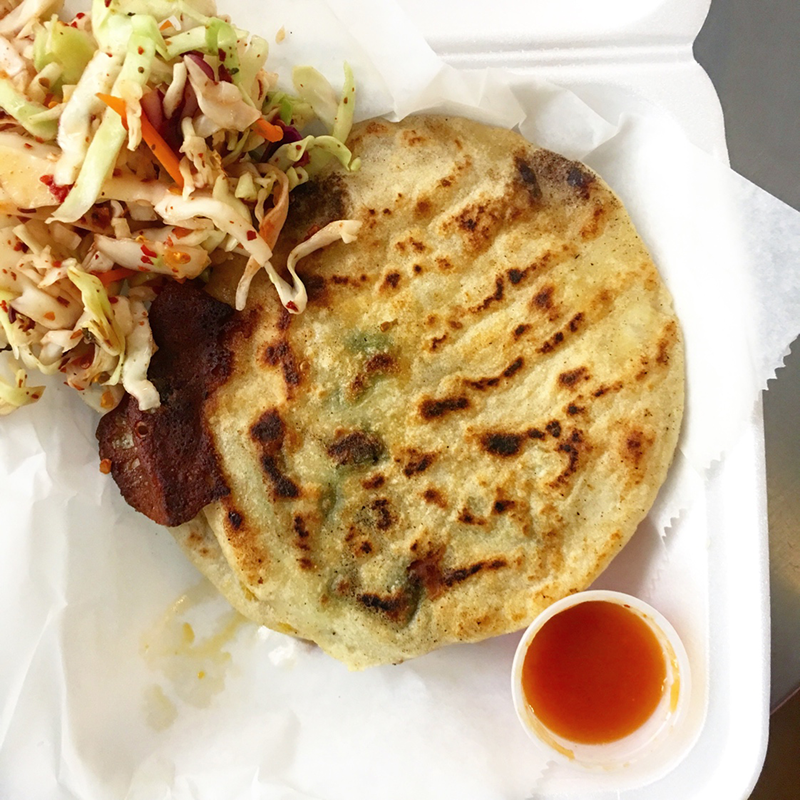 After many adventures throughout Grand Central Market, Chef Sammy Monsour discovered the cactus pupusa (above) at Sarita's Pupuseria. "They come made to order, ripping hot with a great sear/crust and loaded with tons of cheese," he says. Meanwhile, Chef Celestino Drago hits up Guelaguetza for "the best Oaxacan food in Los Angeles." His go-to order? Grilled cactus, topped with beef sautéed with onions, tomatoes, bell peppers, and melty Oaxacan string cheese. When Chef Anita Jaisinghani doesn't feel like cooking breakfast, or heading over to her own spot, Pondicheri, she gets tacos from Houston's Laredo Taqueria. "They are open really early and make everything from scratch," she says. The texture and flavor of the nopales keep her coming back. 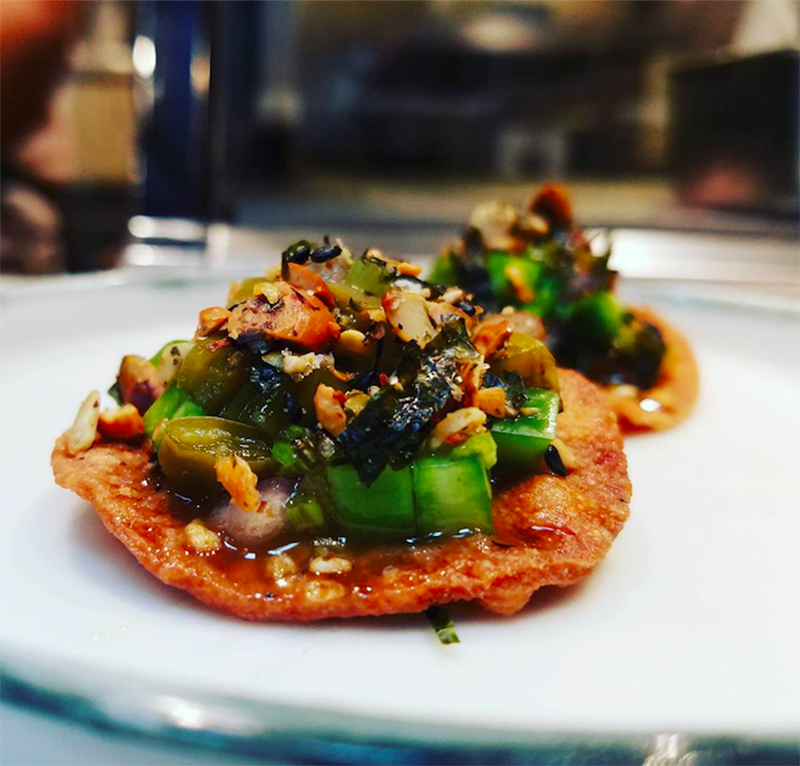 And, over at Kuneho in Austin, Chef Paul Qui serves nopales on tostadas (above), topped with a toasty pepita furikake.